Max doesn’t believe in fairy tales. He doesn’t believe in happy endings either. So when, on the day of his dad’s wedding, he and his new brother and sister are whisked away to the Land of Happy Ever After, Max is not impressed. But the Land of Ever After is in trouble and they need Max’s help. 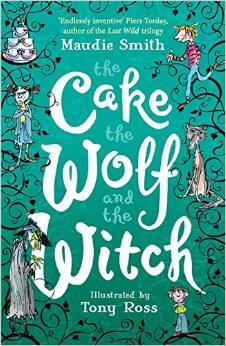 Can Max be persuaded to go on a quest to save the fairy tale characters? And if he doesn’t, how will they ever get home? Martha’s decided that friends are stupid. Especially if they’re anything like Colette and Chloe. She never wants another friend. Ever. 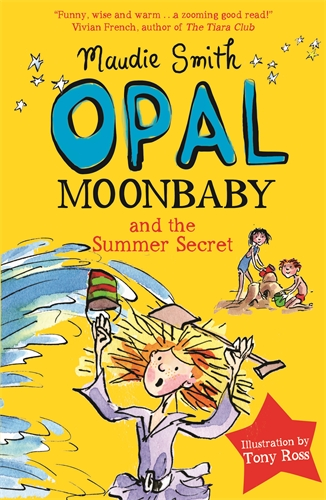 But it’s the first day of the summer holidays, and there’s not that much to do… until she spots a strange little furry creature who leads her to Opal Moonbaby. 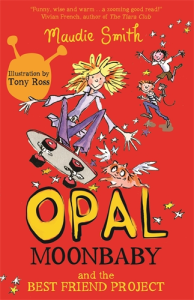 Opal’s been sent down from her planet with a special mission: she needs to work out what on earth people are (and my goodness – people are strange) and make a friend. Can Martha help Opal make the Best Friend Project a success? The first in a funny, warm-hearted series about friendship – and aliens! Opal Moonbaby is spending a year on Earth. A whole year! Martha can’t wait to take her to school, to introduce her to her friends and to recreate all the fun they had during the summer. But things don’t turn out quite as expected and before Martha knows it, Opal is off making new friends, doing new things and throwing herself into life on Earth – and Martha can’t keep up. 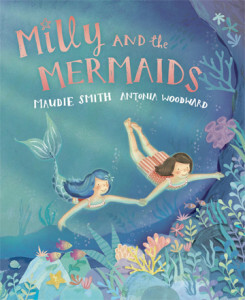 The second in a funny, warm-hearted series about friendships – and aliens! Martha’s best friend is an alien. Opal Moonbaby can move things with her eyes, make popcorn fountains, and travel all over the world in her very own spaceship. Martha can’t imagine life without her. 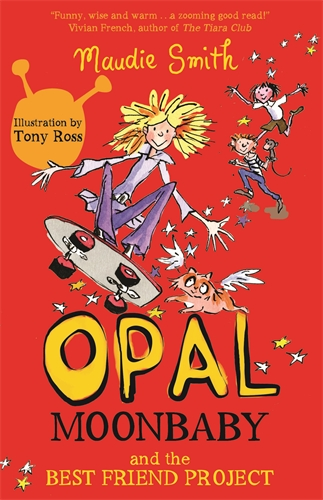 But Opal’s time on Earth is almost at an end. They have one final summer together. 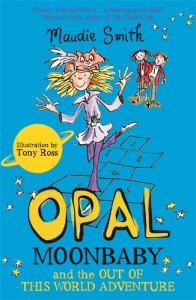 So why is Opal acting so strangely all of a sudden? Can Martha discover the secret she’s hiding – and what will it mean for their friendship? The third in a funny, warm-hearted series about friendships – and aliens!